Who Is a Candidate for In-Home Care? Professional in-home caregivers can provide assistance to anyone who needs help with basic non-medical tasks. Anyone from the elderly to someone living with physical impairments or limitations can benefit from the services of a Right Choice professional caregiver. What Services Do Professional In-home Caregivers Provide? In-home caregivers can provide a wide range of services including personal care, light housekeeping, meal preparation, medication reminders, companionship, transportation, and grooming. Contact Right Choice to discuss your specific needs. Will In-Home Care Result in a Loss of Independence? The caregivers at Right Choice are highly trained to perform their tasks with an exceptional degree of sensitivity and respect towards the client’s dignity and independence. Right Choice caregivers offer support so that our clients can retain their independence for as long as possible. 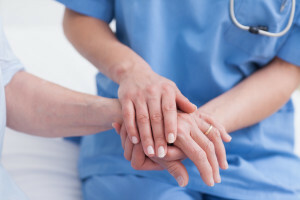 How Will I Know the Caregiver is Trustworthy? All Right Choice Caregivers are subjected to a rigorous vetting and screening process, including an extensive background check, medical clearance and reference verification. Can I Choose my Own Caregiver? Right Choice works to match each client with the perfect caregiver for their needs and situation. We offer a free, in-home needs assessment to help place each client with the caregiver best suited to fit their needs. What If My Caregiver Is Not a Good Fit? Right Choice is dedicated to making each client feel completely satisfied and comfortable with their caregiver. If you feel at any time that a caregiver is not the right fit for your family, we will replace the caregiver at no cost. The cost of hiring a professional in-home caregiver can be surprisingly affordable. Call Right Choice Caregiving today at 800.898.0840 to speak to a representative about your caregiving needs in Los Angeles, or to schedule a free in-home needs assessment.